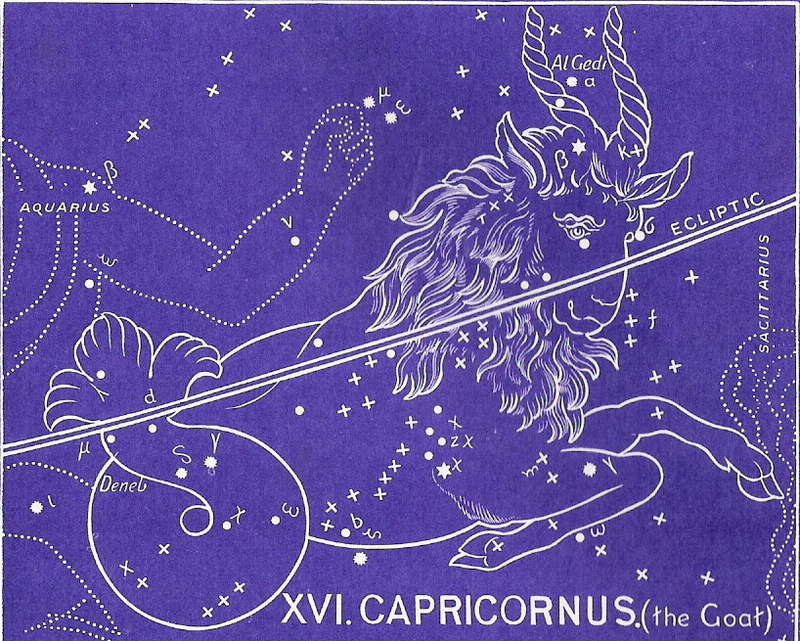 With Capricornus, we begin the second “Book” in our study of the ancient revelation of God’s salvation revealed in the stars. With the first book, which included the signs Virgo, Libra, Scorpio, and Sagittarius, we saw the fulfillment of the “Seed Promise” given to Adam and Eve in the Garden of Eden after their sin. God promised a Redeemer that would pay the penalty for their sin. We saw the two-natured Savi or who ultimately defeated his enemy, Satan. Now, with Book Two, it appears that we are going to repeat the message of Book One. But there’s more to the story! The ultimate victory that our Savior, Jesus Christ, won for us on the cross was not a one-time victory — end of story! Instead, it was just the beginning of the blessings we receive in our salvation through faith in Jesus Christ. The Gospel — the death, burial, and resurrection of Jesus — was not just in the past tense. We will now see in this incredible star study — that the Gospel is present in our lives even now. Paul said in the New Testament book of Galatians (2:20-21), “I have been crucified with Christ and I no longer live, but Christ lives in me. The life I live in the body, I live by faith in the Son of God who loved me and gave himself for me.” We, like Paul, are now part of the story. We are crucified with Christ, buried (our old natures), and resurrected to a new life — an alive spirit! We are “joint-heirs” with Christ! All that is Christ’s is ours! 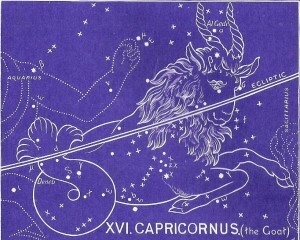 And here at Capricornus, we begin by receiving the promise of God that if we will enter into this joint-death-and-life with Christ — meaning that we surrender every area of our life to His authority and lordship — then we will also receive all of the blessings of the Gospel. This second Book in our star study begins with another Promise. Here is seen the promise of the blessings of the Gospel. We will see in this book the multitudes of redeemed ones, bought with the precious blood of Jesus Christ. But His death procured so much more than just eternal life for them. It also assured them an abundant life! This Book begins with the reminder (Capricornus) of the price of those blessings. What is free to us cost God the most precious of all things, His Son. To continue in the correct order of the ancient star chart, please select Sagitta next.